This year I planted 20 varieties of tomatoes and want to give you my favorites. Here are the winners! 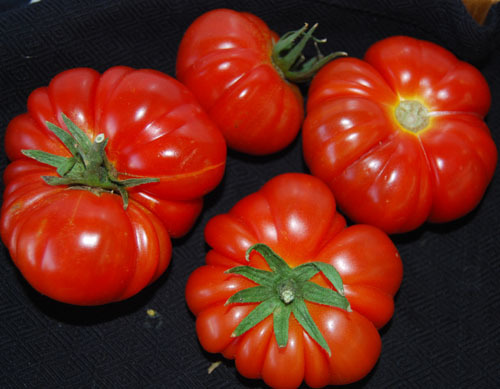 Costuloto Genevese-This Italian heirloom is the prettiest tomato I’ve ever seen. It has highly fluted or scalloped edges that are beautiful when sliced horizontally. 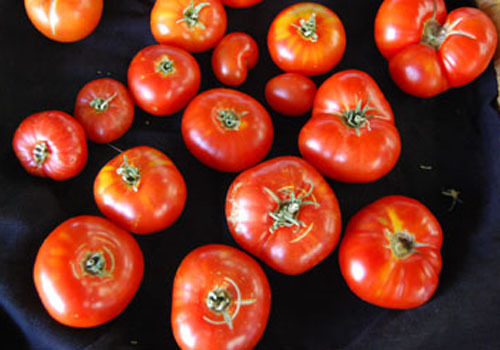 It ripens to a beautiful deep red and and has that old fashioned tomato flavor. Very prolific. One of my favorites for Caprese salad. Black Cherry-I grew them last year. 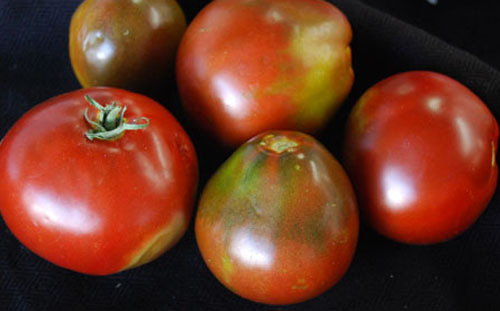 Wonderfully complex, earthy sweet flavor so typical for black tomatoes. Paul Robeson-I grew them last year and I like them even better this year. This one is a favorite of many at our Farmers Market. Complex flavors of sweet and just the right amount of acid. Black Pear-New for me this year, they have a wonderful sweet black tomato flavor. Very abundant. Striped German-Giant Bi-Color beefstake that is a supersweet. Beautiful yellow and red marbling inside. Takes all summer to ripen but it’s worth the wait! This entry was posted in 'THE TOMATO LADY', general, TOMATOES and tagged Black Pear tomato, Costuluto Genevese tomato, heirloom tomatoes, Pantano Romanesco tomato, tomatoes.